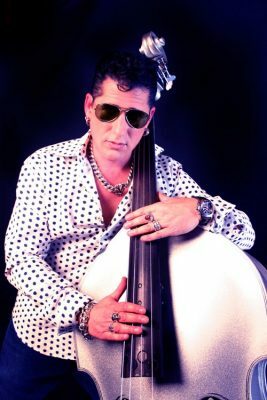 STRAY CATS legend LEE ROCKER has a brand new video out and he’s premiering it exclusively with Vive Le Rock! The video, made by Callicore Productions features Lee and band’s medley of Elvis’s Sun Sessions classics ‘That’s Alright Mama’ and ‘Blue Moon’. Look out for an appearance by the Vive Le Rock hotel!!! Check out the current edition of Vive Le Rock magazine for our 10-page Stray Cats extravaganza! ‹ ANYONE FOR A CHAINSAW PARTY? !